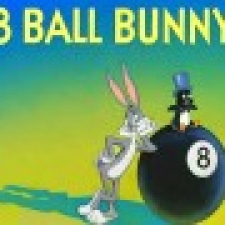 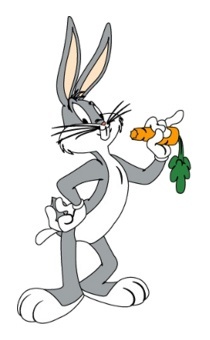 Bugs Bunny is an American animated character created in 1938 from Warner Bros. Cartoons. 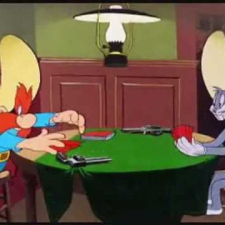 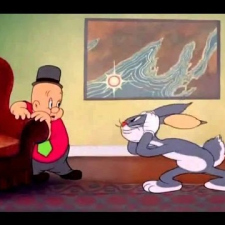 Bugs is an anthropomorphic gray hare or rabbit and is famous for his flippant, insouciant personality, a pronounced New York accent, and his portrayal as a trickster. 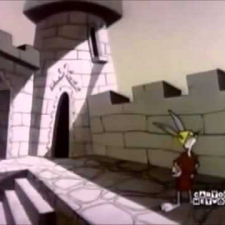 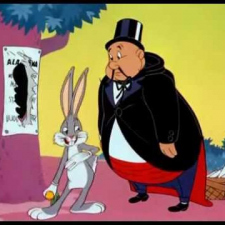 He has primarily appeared in animated cartoons, most notably the Looney Tunes and Merrie Melodies series of theatrical shorts during the Golden Age of American animation. 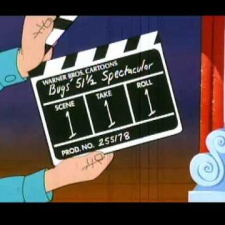 His popularity during this era led to his becoming a corporate mascot of the Warner Bros. company. 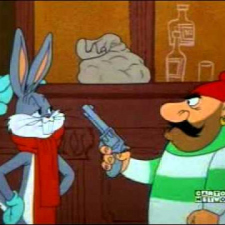 Bugs has appeared in more films than any other cartoon character. 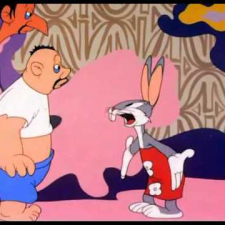 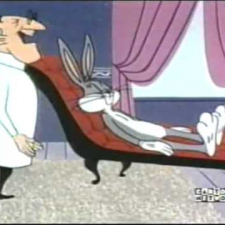 According to Mel Blanc, the character's original voice actor, Bugs has a Flatbush accent. 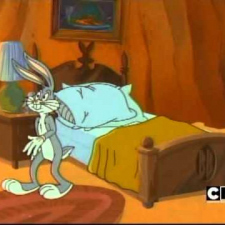 Bugs has had numerous catchphrases, the most prominent being a casual "Eh... What's up, doc? 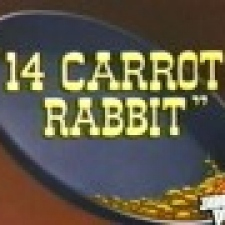 ", usually said while chewing a carrot.